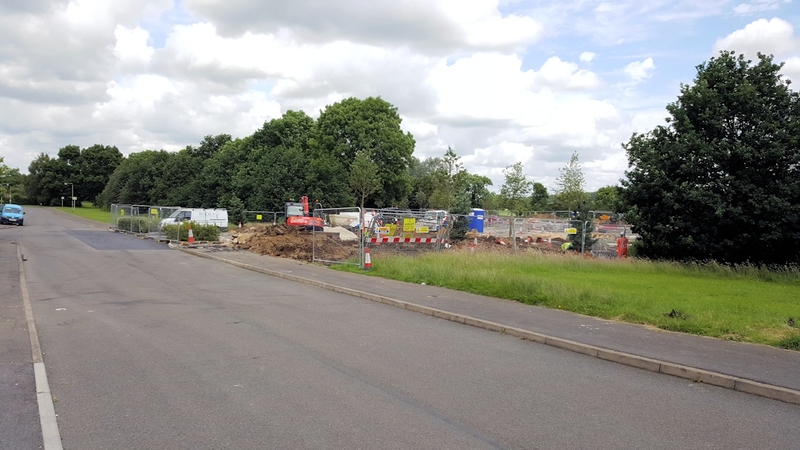 The first phase of housing in Barton Park is being marketed under the brand name Mosaics Oxford. 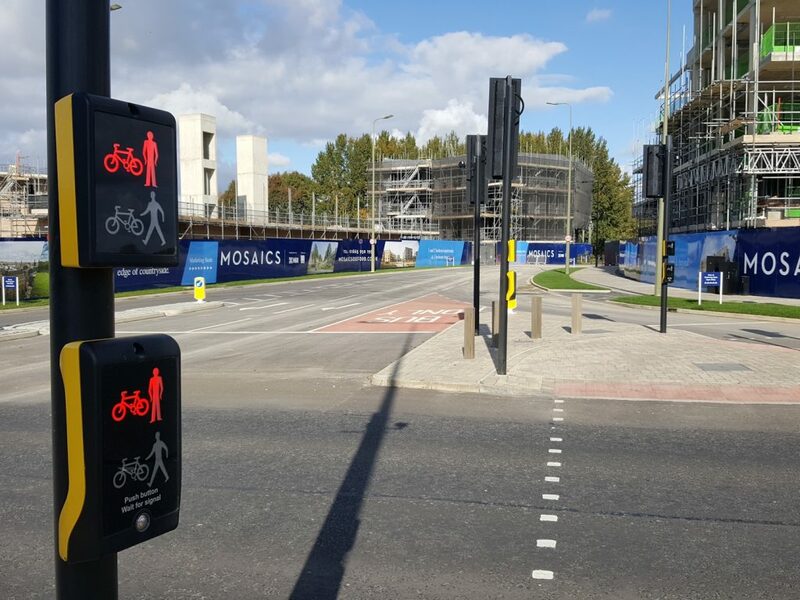 The marketing suite and show home have been open for about a month, but there was some confusion locally over whether the development and the marketing office could be safely accessed on foot or by bicycle. This is particularly interesting because of the ‘low car, bike friendly’ intentions of the original development and the planning permission that was given. 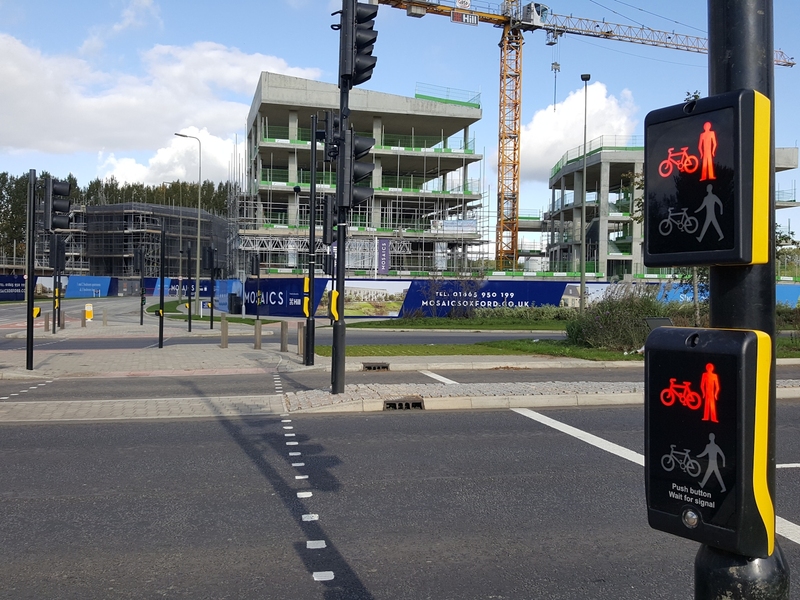 I’m pleased to report that a visit today confirmed that pedestrians and cyclists can get into Barton Park and the marketing offices safely. 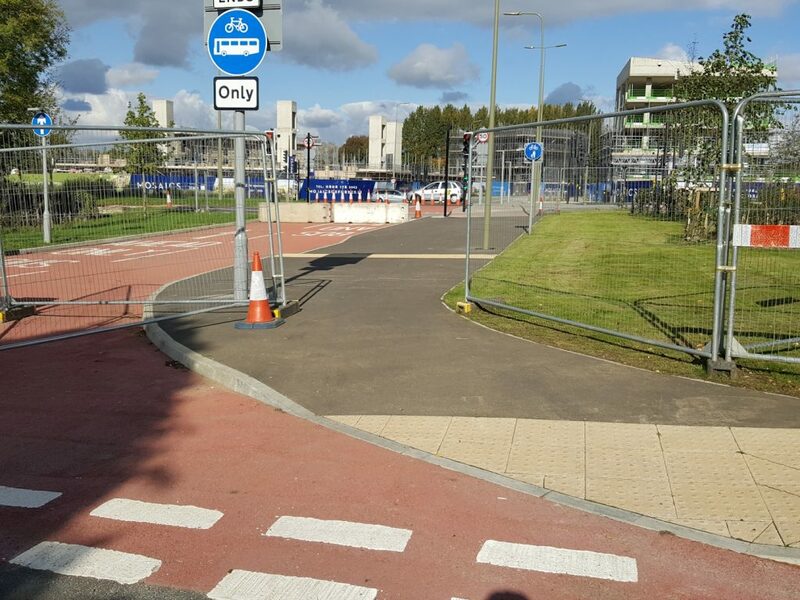 The security fencing on Foxwell Drive is open for people on foot or on bikes to pass through, bringing them to the crossing lights on the A40. Anyone approaching on the A40 cycle path has free access to the same place. 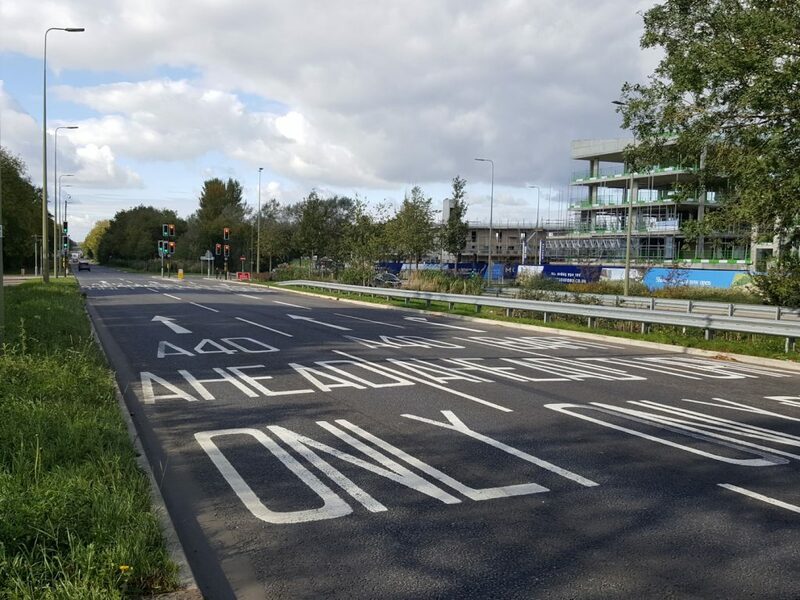 There are three toucan crossings, one each across the two main carriageways of the A40, and one covering the exit lane from Barton Park onto the north (Headington roundabout bound) side of the by-pass. All are working. I was able to cross the A40 on my bike without waiting too long for the traffic to stop. The only part of the process that felt uncomfortable was coming back to the Northway side where you find yourself waiting on a rather narrow island in the middle of the A40 with vehicles blasting down the hill at speeds well above 50mph passing you within a few feet. While I was at it I thought I’d check out Mosaics’ claim about how close they are to all the Headington action. On my shopping bike and without getting out of the saddle, from the Foxwell Drive junction via Old Headington and Old High Street to Headington shops traffic lights took 7½ minutes. So yes, not bad. To either end of the JR would be less. I went over to see what was happening where the Barton Park access road is being built into Foxwell Drive from the A40. 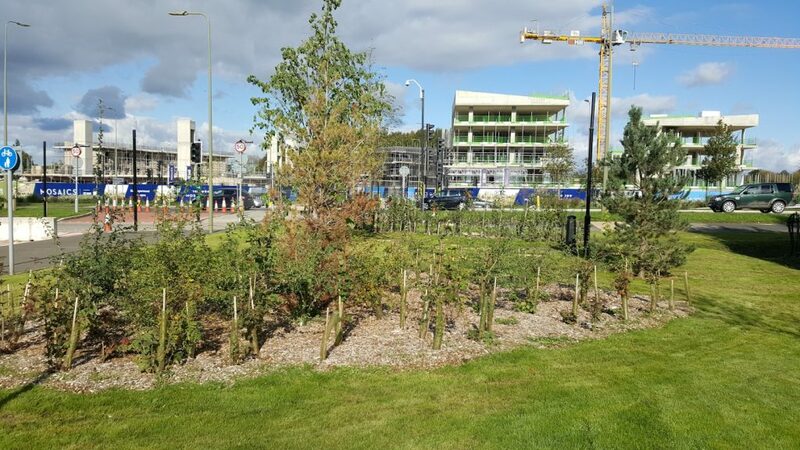 Work is obviously progressing, and workmen were actually plantiing trees either side of the new link. Looking over to the Barton Park site I was struck by the size of it – it’s one thing to see it on a map, another for real on the ground. 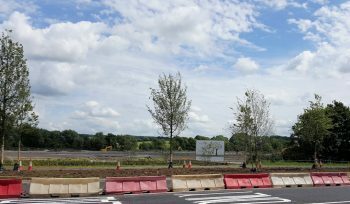 There seem to be new trees on the Barton Park side of the A40 too. I took a couple of pictures. They’re not great, but for what it’s worth here they are.